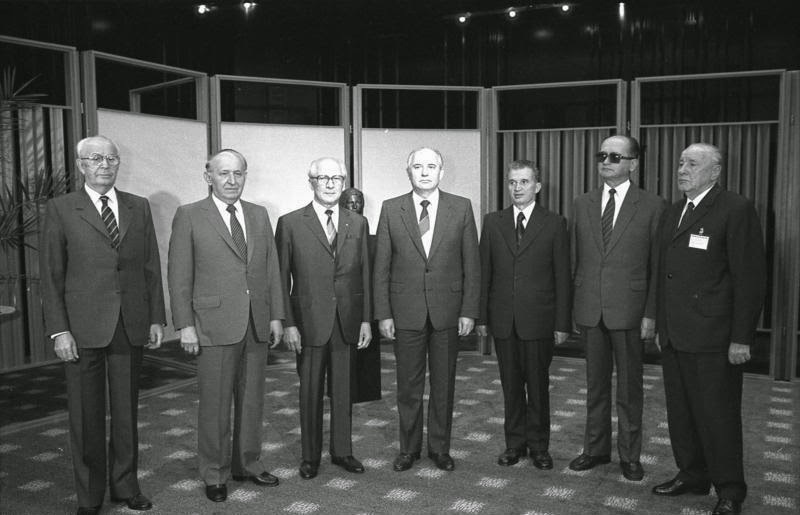 Perceived from the sitting rooms of suburban England or even from a press office in Canary Wharf, the ex Communist countries of Europe remain an anathema to most. With an absurd oversimplification of the facts, to the yellow press, it is just another rant about the job market, cheap Eastern European labor, and taking work away from English people. But most of it is rot and downright misleading. It also presents these foreign job hunters as androgynous, feeling-less and totally self motivated, but of course, none of this is true. Sixty years of Communism have caused more emotional damage to the inhabitants of Eastern Europe than has been presupposed. 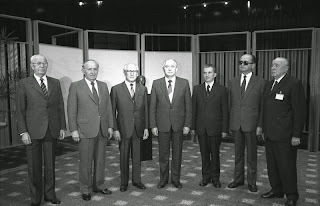 Despite the various Communist administration's absurd political claims - that social engineering would one day put greedy western capitalists in their place - after the political changes in the 90s, there was little evidence of this success, just a daunted and disillusioned population of resentful and confused people. Just how our fellow Europeans managed to survive the oppression, which Communism so gladly provided for them, is a lesson we should all learn, when it comes to the personal management of our mental health. The reality of Communism was a tall greasy pole which anybody with any ambition, had to climb. The rewards were very clear and although a citizen had to conform to certain strict criteria when it came to where they lived and how much they were paid, their way forward was either through working as a senior manager in one of the many enterprises, or by becoming a part of the control structure and working for the Ministry of the Interior. The whole system was tied to Communist Party values and to the people who controlled and oiled the corrupt political process. Everyone knew this, and together with a paper trail - which makes Franz Kafka’s literary machinations seem almost childlike - they were doomed to conform to the often absurd edicts of their masters, held in an emotional inertia, under strict observation and remorseless control. The effect of all this pressure was to create a creature which nobody in Northern Europe could easily recognize then, or even to this day. People of all ages were secretive, conspiratorial, passive and compliant. Few liked their lifestyle, their jobs, their colleagues or even their own families. The net result was that jealousy and contempt, were gradually superseded by paranoia and a massive grudge. Nothing was good enough, people – who on the surface seemed cordial and reasonable – conspired against one another and looked forward to the day when they could reek humiliation on their chosen victims, which for some deeply held and obscure reason, gave them their greatest satisfaction. That was reality under Communism. In layman's terms, it also goes a long way to describe a massive inferiority complex, too, and together with little opportunity to excel – of course there was always sport – and with deeply held resentments in place, many once loyal citizens descended into alcoholism, drug abuse and prostitution; especially after the political changes. When these changes finally came, most of the peoples of Eastern Europe had dreams of being saved by the Americans. It was believed that they would wave the stars and stripes over these forlorn and forgotten nations like a magic wand, and that everyones lives would be changed for the better overnight. But this did not happen. Iris Murdoch once described low self esteem, in terms of finding fault in others. This might be true, in a gentle English town, full of gentle English people. But in modern Britain, people are forced to compete for the few jobs that are still around and being knocked back and rejected must seem a very painful experience to those of a gentle disposition. But you must take heart and to try to understand how it is that many of your fellow Europeans have been through far greater trauma and humiliation than you because, in the end, all they had to believe in was themselves. How to heat your Balkan home during Winter. The odd thing about the Balkans is the way that the seasons seem to stop and start the moment that there is a change in the month. It is now well into September and I have almost forgotten how unbearably hot it was just a few weeks ago and how the windows and shutters remained closed during the day to keep the heat down, and outside the house. Now it is the opposite, the idea being, to keep the heat inside the house. So, it is now time to think about realistically heating our homes and to address the practical problems facing us all; how to keep warm over the winter months. The Greeks quite recently got the message about overcharging their indigenous population when it comes to many of their household items, but the Greek government does not always agree with this view. If you are fortunate enough to believe you are able to afford heating oil, then you will have to wait until November, before there is an announcement by the Greek government about the so called discounted price of heating fuel. Since heating oil is just normal diesel fuel - by another name - they will try and keep the retail price as close to the high street garage pump price, as they can. Seen as a serious opportunity to collect more cash to support the ailing Greek economy, many ordinary people are not prepared these days to take this risk, or to wait for the announcement to take place. Consequently, as in the last few years, we are all planning ahead with our heating needs and ordering our logs, for the forthcoming cold months. But - and this is a big but - how has the price of logs faired, since last year? Greeks maybe a little more adept at delivering logs than in other parts of the Balkans, and so there are three choices for delivery. Firstly, you can buy logs of various sizes strapped to a pallet, secondly logs can be delivered in glass fiber bags – in both cases, they can be craned into a convenient spot – and finally, dropped off the back of a truck in a big pile ready for your exercise regime to move into gear. This month the latter method attracts the price of 95 EUR for two cubic meters or a one tonne delivery to the pile of your choice. Bulgaria is obviously cheaper, because most of the Greeks logs come from there anyway. But, not if like me, you live just across the border from Bulgaria. In no time at all, the Bulgarians have decided that they too can charge the same amount as the locals for delivery to my home in Greece, claiming transport costs and the like. So, what is the solution? The answer is a pellet stove! There are many such stoves for sale in Europe which seem to vary so greatly in price, that some must be exceptional. No, they are not. They are just more expensive because they are German, Austrian, Italian, or American, etc., etc. However, the Bulgarians have now come up with their own little winner! It is called the PS9 Pony, is made by a company called Erato in Haskovo and is for sale at 30% less than the advertised price of similar units from other parts of the world. 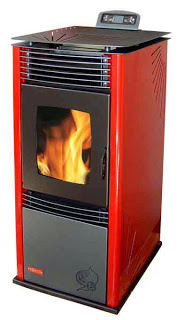 This is their blurb:- The ERATO Pony PS9 is steel-plate hot air pellet stove, which uses solid Biomass fuel in the shape of pellets. The stove is designed for local heating domestic and office spaces. The boiler uses wood pellets, as well as other types/shapes of biomass and the resulting heat energy from thermo-chemical conversion - combustion process - is then transmitted from the heat-exchanging surfaces to the surrounding air. Have a look at http://www.erato.bg and see for yourself. Sounds good doesn't it? Well next month I will let you know, when mine is installed, what has really happened and how well it works! 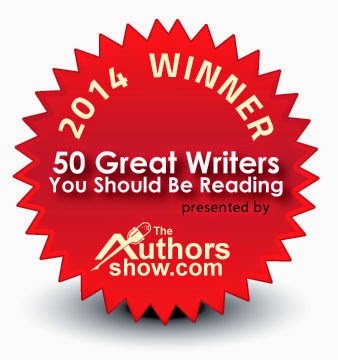 A SPECIAL OFFER FROM SMASHWORDS. This is Patrick Brighams often disturbing, but facinating story about child abduction and people trafficking in Europe. Once more DCI Mike Lambert - now working for Europol in Holland - is on the trail of the little English girl, Penelope Scratchford. In this third murder mystery in a series, he follows her trail through South Eastern Europe and the Balkans, in order to discover if she is alive or dead. But, our English policeman also manages to find love and some personal adventure - despite an acromonious divorce from Arrabella, his aquisative and unfaithful ex-wife - with the loverly Countess Beatrix who he meets in Italy. Detective Chief Inspector Michael Lambert has left the Thames Valley Police Authority and is now working for Europol as a front line Europol Liaison Officer at The Hague. 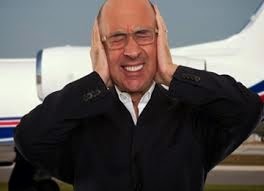 He has left England and, because of his recent divorce, now lives permanently in his holiday villa, in the Calvados region of Northern France. 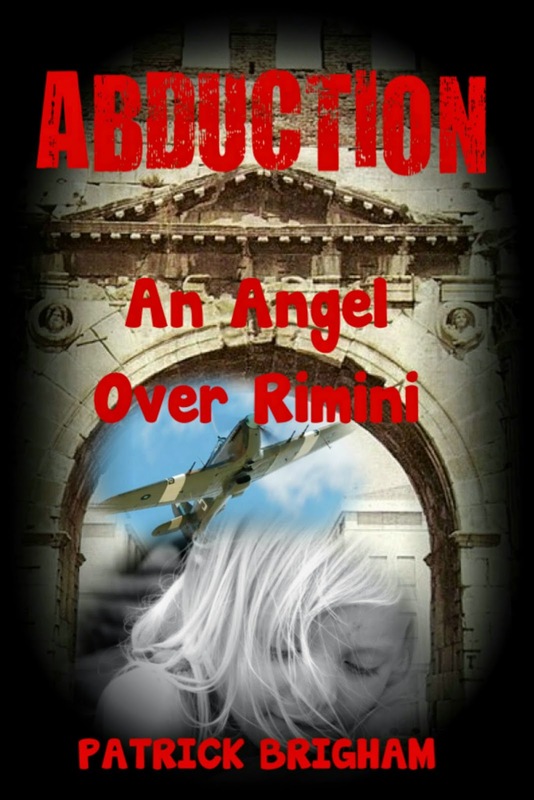 In An Angel over Rimini, his first case for Europol involves the abduction of a little English girl from a camp site in Riccione in Italy. It is a cold case, which has been reopened due to public pressure, the intervention of the British Government and the agitation of leading English newspapers. DCI Lambert goes to Rimini to help the State Police to reinvestigate the kidnapping of little Penelope Scratchford, only to find that the investigating authorities are quite determined to blame the parents for her disappearance and murder. It becomes clear - as his investigation progresses - that there are too many unanswered questions and that much of the evidence has been ignored, by the original investigating officer, Vice Inspector Daniel Bosola. Whilst in Italy, DCI Lambert also finds time to catch up with his father’s mysterious past, during his wartime service in Brindisi as an RAF officer in a Pathfinder Squadron. This reveals some interesting, if not spectacular revelations about his father’s secret wartime exploits and his peccadillo’s too! For Michael Lambert it is also an awakening, and romance in the shape of Countess Beatrix d’Aragona finally brings the Europol detective back to life emotionally, somehow blotting out the past and his sterile marriage to Arabella Lambert. Continuing his pursuit of the missing English girl, his investigations take him to Greece and the established smuggling routes through the Evros River Delta up into Bulgaria. In Greece he discovers the horrors of organized illegal immigration and people trafficking and the gangsters involved. He also finds out, that these established smuggling routes are also Al Qaida’s way into Greece and the EU. In his travels he comes across corrupt Lawyers and Orphanages in Bulgaria, but in so doing he also manages to pinpoint an established child trafficking trail which ultimately leads him back to Central Europe. The discovery of an illegal child adoption group in Hanover and the criminals who operate it, the information gleaned during his trip through Bulgaria, helps DCI Lambert to learn if little Penny Scratchford is still alive or dead. It is 2002 and little Penelope Scratchford has been abducted in Italy. The Italian State Police has given up its investigation and believes her parents to be responsible for her disappearance and her probable murder, but cannot prove it. The British authorities believe she is still alive, as does the UK Press. Whatever it was that prompted Lambert to strike up a conversation with a priest that evening, could only be described as fortuitous. A dull evening with clouds on the horizon and a non-functioning campsite restaurant, he was forced to explore the nearby village where he discovered a small and unexceptional café bar. It was hidden away, next to the village square. It was also the village bakery and there were various cakes and pastries on display inside a glass-fronted cabinet, which also functioned as the shop counter. A few little tables were squeezed inside the shop for the colder winter months, and a number were outside under an awning waiting for the summer visitors to arrive. With no other choice in view, Lambert went inside and inspected the cakes and pastries on sale. Pointing at some baklava and kataïfi in syrup, he ordered a cappuccino together with a glass ofTsipouro. The sleepy waitress nodded, yawned and then pointed to one of the nearby tin tables. As he waited he could hear her talking to someone on the phone. A car pulled up outside and the driver came into the shop. There then followed an animated conversation and a detailed discussion about the contents of the glass cabinet. After a while, the waitress removed various items from the cabinet which she put into a cardboard box and, finally, consigned it to a printed carrier bag. The till rang, some change was given, the customer left and the waitress immediately returned to her phone call. After a further ten minutes had elapsed, the bored-looking waitress finally brought a tray over to Lambert’s table together with his bill; she then placed a plate of pastries on the table, coffee, the Tsipouro and a glass of water. Nothing was said. She then sat at one of the unoccupied tables, lit up a cigarette and turned up the volume of the TV set which was attached to the wall, high over the entrance door. It was eight o’clock at night and getting colder. In the distance it began to rumble with thunder. The rain began to pitter-patter on the road outside and the cars made splashing noises as they went on past the café. The lights flickered in the shop and the TV set switched itself off. The air-conditioning unit, which was the only means of heating for the shop, also switched off. Finally, the electricity came back on and with the aid of various remote devices, the sleepy waitress managed to reactivate the air-conditioning and sat once more staring at the TV, smoking. The shop door opened and in walked an orthodox priest. He was not a typical village priest with a black stovepipe hat, but was wearing a black bonnet. Dressed in a long, black cassock with an enormous gold cross dangling from his neck, he sported a long straggly beard. Relatively young in years, he appeared to be rather medieval in appearance, despite his holy orders. ‘Yassas,’ he said to the waitress and looking round the café, he finally noticed Lambert. ‘Kalispera,’ he said and then sat at a corner table next to the street, looking at the rain. The waitress jumped to her feet, taking the priest’s order within seconds of his arrival and treating him with such deference that it was hardly credible to the English policeman. It made him marvel at the power of the Orthodox Church in Greece and to wonder if he had chosen the wrong vocation. Finally, the priest said something to Lambert in Greek, who replied in the only way he knew how. The priest was a typically friendly Aussie and belying his austere religious appearance and uninvited, he came and sat opposite Lambert. Lambert casually offered him a Marlboro cigarette. ‘Thanks mate. I don’t mind if I do,’ he smiled. ‘Actually, I’m an English policeman,’ he addressed the priest with a look of resignation. ‘Well, someone’s got to do it.’ He smiled and sipped his Tsipouro. ‘I work for Europol in The Hague. I’m here in Greece trying to track down a little girl who was abducted from Italy. By the way, my name is Mike.’ He shook the priest’s hand and the priest gave his name as Father Jacobus. Father Jacobus described how he was a Greek Orthodox deacon working for the Ecumenical Patriarchate of Constantinople in Istanbul. Being a first generationAustralian of Greek origin he was able to fit in with the rigorous church standards expected of any Greek Orthodox priest. ‘So you see, Mike, Mount Athos is not too far for me to come, to go into retreat and get a bit of peace and quiet for a change. They are a noisy lot at the best of times in the Greek Orthodox Church and there are plenty of arguments and even fights.’ The thought of a bunch of priests knocking each other’s stovepipe hats off made Lambert laugh.